Asheville in the Great Smoky Mountains has a surprisingly mild and pleasant climate. In the spring, from March to May, and in the autumn, between September and early November, the temperatures are very comfortable. These are the best times to visit Asheville. Beautiful flowers abound in the spring, and the fall foliage colors are brilliant. Even though Asheville sits at a relatively high elevation, the humidity can be quite noticeable during the summer months. But summer is still a popular time to visit because the humidity is not as high as it is in the cities. The temperatures in the winter are colder but there is very little snow that falls in Asheville. January is Asheville’s coldest month with average low temperatures dropping to 28°F (-2°C). Average highs peak at 47°F (8°C). January also brings 4 inches (10 cm) of snowfall to Asheville, the highest amount in the whole year. Skiers typically make their way to nearby ski resorts during this time of the year. In February, high temperatures increase slightly as average highs hover just over 51°F (11°C) while average low temperatures remain. Snowfall decreases by an inch and is replaced by rain showers, making Asheville’s environment relatively icy. Asheville weather in March: Temperatures climb in March, signifying the end of winter. A bit of snowfall, about 2 inches (5 cm) can still be expected as spring starts to arrive. Low temperatures are 37?°F (3°C). In April,temperatures continue to rise as average high temperatures start hitting 67°F (20°C). Average lows typically won’t drop any further than 45°F (7°C). Snowfall tapers off with just a 1 inch (3 cm) average. May symbolizes the end of Asheville’s short spring. Average high temperatures of 75°F (24°C) can be expected while low temperatures hover at about 53°F (12°C). Asheville weather in June: Summer arrives in Asheville in June, bringing high temperatures of 82°F (28°C) along with it. The summer months are the perfect time to head out into the great outdoors and hike trails or head to the Great Smoky Mountains National park. July is the hottest month of the year in Asheville with average highs pushing 85°F (30°C) and average lows of 65°F (18°C). In August, there is a very slight decrease in the heat as average temperatures go down a degree. August is Asheville’s rainiest month with an average precipitation just above 3 inches (87 mm). Asheville weather in September: Summer tapers off and starts transitioning to fall in September with temperatures going back down to the high 70s. Low temperatures are 57°F (14°C). In October, the weather cools further as average high temperatures rest at 68°F (20°C) and average low temperatures drop to 46°F (8°C). October is the driest month of the year for Asheville with only 2 inches (54 mm) of rain expected. 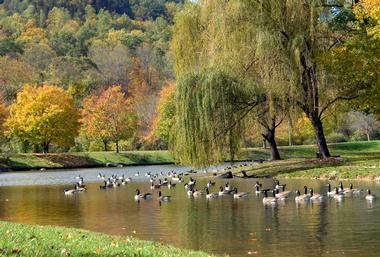 Foliage begins to change color this month and outdoor activities continue to be popular ways to pass the time. November sees another significant decrease in temperature with average high and low temperatures ranging between 58°F (15°C) and 38°F (3°C). December is the second coldest month in Asheville and the beginning of winter. The city averages 3 inches (8 cm) of snow with an average high temperature of 49°F (9°C). Low temperatures are 30°C (-1°C). Air turns crisp during this time of the year and snow capped mountains can be viewed from a distance. The best seasons to visit the mountains in North Carolina are spring and fall. Late March to early May are when the mountains and forests are at their brightest and most colorful while September through October are prime months to experience North Carolina’s foliage. Mountain climbing, hiking and trekking is best from June to August and water sports like rafting and boating are best enjoyed in September. The Asheville Regional Airport is served by several major airlines bringing some 750,000 visitors to Asheville each year from major cities all over the United States. There are approximately 25 round trip flights each day into this airport. For visitors who enjoy train travel, Amtrak has a station in Greenville, just eight miles from Asheville. 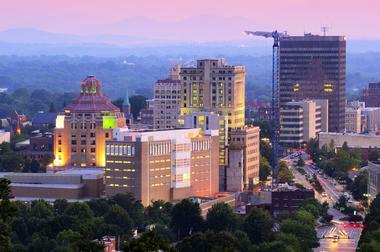 Arriving by car is easy because Asheville is located near many major highways. 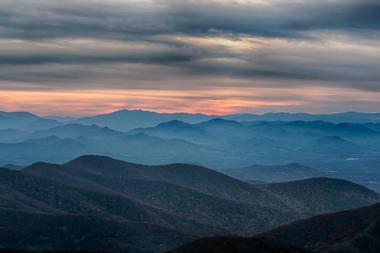 The famous Blue Ridge Parkway passes through Asheville, so this is an extremely scenic way to get to the city. Arriving by bus is yet another option: the Greyhound Asheville Bus Station is located at 2 Tunnel Road. From the Asheville Regional Airport there are several ways to get into the city which is only 10 miles from the airport. At the airport there are several car rental agencies including Alamo, Avis, Budget, Dollar, Enterprise, Hertz, National, and Thrifty. 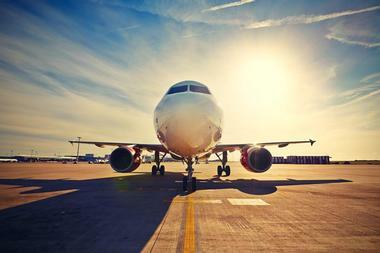 Other ways to get from the airport into the city include taxis, shuttles, limousines, and hotel shuttles. There are many taxi companies such as Checker Cab and Yellow Cab; shuttle companies like Asheville Airport Shuttle; and limousine companies such as Carolina Limousine and Elite Limousine. There are also two commuter buses that pick up passengers at the airport: Asheville Transit and Hendersonville Transit. The Guest Services Center at the Asheville Regional Airport is conveniently located for arriving passengers in the baggage claim area. The staff here can help visitors with ground transportation, directions, brochures, and maps. The Asheville Visitor Center is located in downtown Asheville at 36 Montford Avenue. It is open every day of the week. Staff can help visitors find accommodations including last minute deals, a great way to save money especially for budget travelers. There are also brochures, maps, and coupons for local attractions. Staff can also give directions to help visitors find their way around the city. The Pack Square Park Visitor Pavilion is a satellite of the main visitor center. 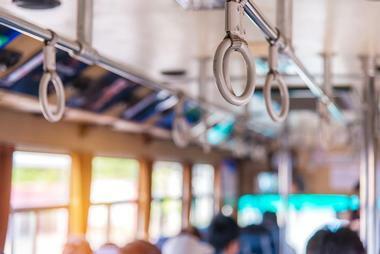 The Asheville Redefines Transit (ART) is the city’s bus system. The bus travels on routes that are only a few miles out of downtown Asheville. Fares are not expensive and there are multi-ride booklets available. Buses running in downtown are free, so this is a great way to see the center of the city. The buses run seven days a week. The Gray Line Historic Trolley is a hop-on hop-off trolley that many visitors enjoy. The trolley operates narrated tours that travel throughout downtown Asheville and to areas such as Biltmore Village and the River Arts District. 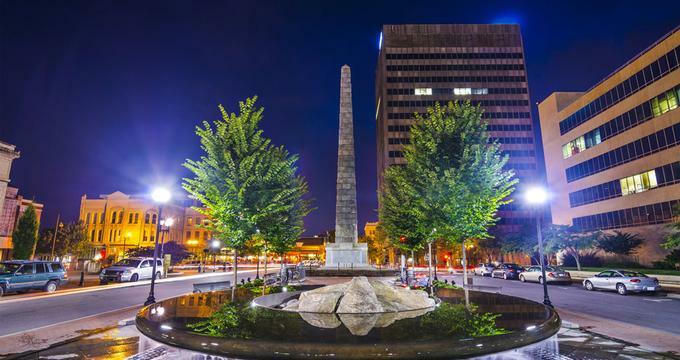 Although there are many interesting things to see and do in downtown Asheville, many of the best attractions are located just outside of the city. There are car rental agencies at the airport and having a car gives visitors greater flexibility. There are more than 700 metered parking spaces in downtown Asheville; there are also three parking decks and five parking garages. Getting around by taxi is another option. There are several taxi companies in Asheville such as AVL Taxi and Uber. These are great for short trips in the city, but they can become quite expensive if you are traveling outside the city. 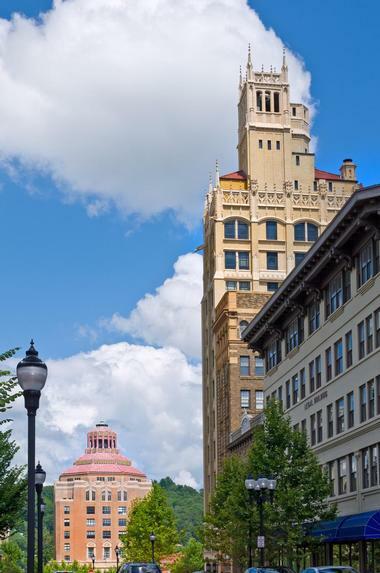 Although Asheville is a relatively small city, it is home to an unusually large variety of restaurants. There are very good ethnic restaurants, and farm-to-table restaurants are popular here. Some restaurants serve four star cuisine while others specialize in down-home cooking or Southern cuisine. There are also many vegetarian restaurants such as the Laughing Seed Cafe. Some of the ethnic restaurants include Chai Pani (Indian), Curate (Spanish), Suwana’s Thai Orchid (Thai), and Tacos Jalisco (Mexican). American and Southern cuisines are served at restaurants such as Rhubarb, The Admiral, The Blackbird, The Market Place, and Tupelo Honey Cafe. 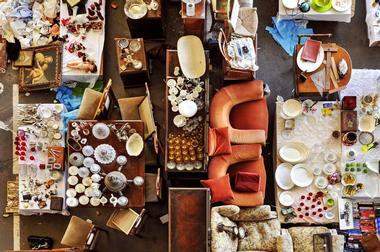 Asheville offers a wide variety of shopping choices that will please visiting shopaholics. The first stop on a shopping spree in Asheville should be the historic Grove Arcade Public Market. This arcade features approximately 50 shops and restaurants; it also happens to be the largest commercial building in the city! 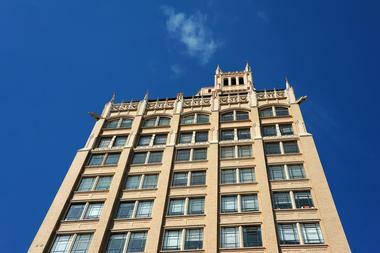 The 1929 building had been closed since World War II, but it has now been restored to its original condition. 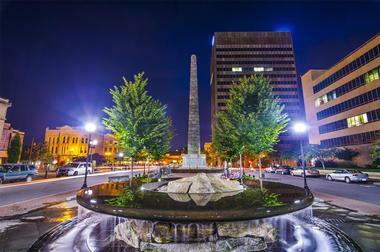 Asheville is known for its arts and crafts and there are several places for shoppers to explore. These include the Grovewood Gallery at the Homespun Shops as well as the Appalachian Craft Center. Outside of downtown Asheville there are some interesting neighborhoods that are worth exploring. Some of these neighborhoods are historic; some are shopping areas; and some are filled with artists and their galleries. Although some neighborhoods have changed over the years, Lakeview Park in North Asheville retains the style of an earlier period. Montford is full of historic houses built between 1890 and 1920. After neglect caused by the depression, many of the houses have been restored and some serve as Bed and Breakfasts. Other neighborhoods to explore include Biltmore Forest adjacent to the Biltmore Estate; Kenilworth; Haw Creek; Oakley; Haywood Road; and Crest Mountain. 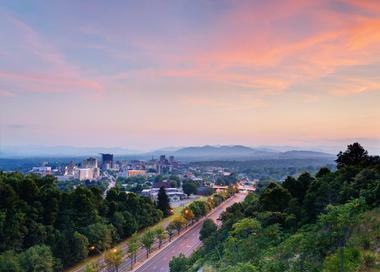 Because of the beauty of the landscape, Asheville is a popular place for weddings. For those who are interested in having a wedding at a hotel, there are many choices. One of these beautiful hotels is the Grand Bohemian Hotel Asheville with its garden terrace. The high ceilings in the ballroom of the Century Room make this a special place for a wedding. Albemarle Inn is a beautifully restored 1909 Greek Revival mansion and a popular venue for weddings. For visitors interested in an outdoor wedding, the Addison Farms Vineyard is perfect with its views of the vineyards and mountains. The Biltmore Estate is the height of elegance, and the hotels and B&Bs in Asheville seem to simulate the same level of elegance. 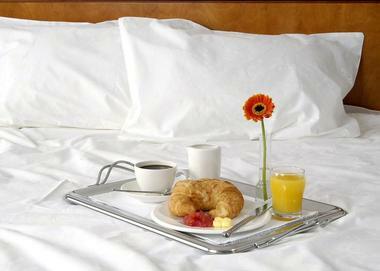 Asheville is home to some of the finest accommodations in the United States. Some of the most beautiful hotels in Asheville include the Biltmore Village Inn, Cedar Crest Inn, the Grand Bohemian Hotel Asheville, the Inn on Biltmore Estate, the Omni Grove Park Inn, and the Reynolds Mansion. But there are other kinds of accommodations in Asheville. There are cabins like the Asheville Cabins of Carolina Mornings; there are resorts; and there are chic boutiques in downtown Asheville.